Are you feeling the needs of booster car seat for your toddlers’ safety? Then this is the must read articles to compare the best booster seats of 2017. Children are spending more times with their parents in the cars and car seats are used more than before. So the chances of facing accidents are also increasing. Best booster car seat can save your children from these incidents. Every year millions of accidents are occurring on only US roads. So the safety issue of the children in the car is now a matter of the main headache for the parents. In a survey of 2013, The National Highway Traffic Safety Administration publishes that every day three children die in the crashes of motor vehicles. The car seat belts are specially made for the adults. Adults comfortably fit in the car seat. However, children cannot adjust to these types of adult seat. Adult seat and seat belt cannot hold children properly. Graco Nautilus 65 has the weight capacity of 22-100 lbs. Consumer magazines have rated this booster seat at top place. The seat has exceeded the safety standards of US where it was tested for the crash. The side-impact test is also done. Energy absorbing foam has been used for absorbing the forces of accidents. Durability and strength are provided through the steel-reinforced frame. For the comfort of your child, 3-position recline is always ready to do its job. The adjustable headrest will keep your toddler’s head safe and comfortable. Open-loop belt will help you to correct the position of your car’s seat belt. Nautilus has given a cup holder with the seat. There you also get the storage pockets to keep the essential things of your child with the seat. With built-in harness position, the weight 22-65 lbs are allowed and the height should be from 27 to 49 inches. And Without built-in harness position, the weight 30-100 lbs is allowed and the height should be 38-57 inches. 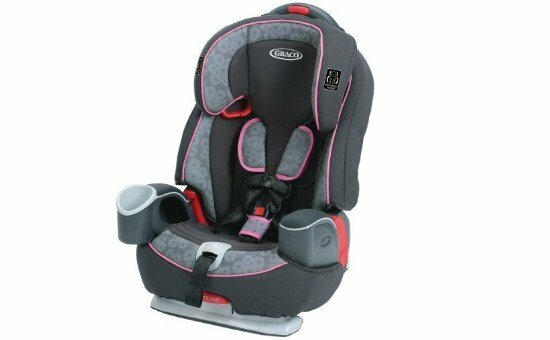 Graco Nautilus 65 is one of the best-rated booster car seats. The children can easily use this seat. Growing child of yours will always be safe. Five-point harness ensures the security of your child. 30-100 lbs are suitable for the belt-positioning booster and 40-100 lbs are appropriate for the backless booster seat. Headrest and harness are easily adjustable. It will not create any complication in installing. You can adjust the headrest and harness as the growing positions of your child. The steel-reinforced frame has made it as a strong seat. It is strong enough to prove its durability and strength. Three-position recline is giving the highest comfort to your growing child. It is also very helpful to fit. Your loving little one can enjoy the ride with the seat’s cup holder. And you know it has a storage compartment, it will provide you with the opportunity to bring the necessary kinds of stuff of your child with the booster seat. Evenflo Chase Lx has belt path which is auto adjustable. This adjustable belt path makes the seat belt position correct and it gives your child the proper fit. It has 4 harness positions for shoulder and 2 buckle positions for buckle to use the seat as an extended seat. Upfront loosening and tightening are easily adjustable. This simple adjustment has made the seat easily useable. You can get your baby out and in any time of the booster seat. The car seat has a cup holder which is only for your child’s personal use. The cup holder does not increase the width of the booster seat. It also allows diverse car seats to adjust your backseat. The seat pad is much comfortable and the head pillow is also given to ensure the comfort of your child. The pad of booster seat and removable pillow for head both are washable. Machine washable pad and pillow will keep your seat always clean. The design of the seat is lightweight. It has equipped LATCH systems, tether. The seat Liner has used Energy Absorbing Foam. This foam has been used for safety and comfort. It is first designed and engineered in the USA. After that, all production is completing in the USA also. For the extended use, 22-110 pounds is allowed in that booster seat. Evenflo Chase Lx has the features of harnessed booster which have an innovative design for the headrest. Now the vehicle belt can be automatically adjusted to child’s height when the car seat in the booster mode. It has enhanced walls on both sides and head support also. Both provide the highest security and comfort to your loving child. The seat has used energy absorbing foam. It’ll save your child from the forces of accidents. It ensures the maximum security when your child is travelling with you. The elements of the seat are sporty style and it attracts the children easily. It has also integrated holder for cup and the holder has the stripe design which is flexible. Your baby will not feel the lack of drinking liquid in the journey when your child will get the drink. The seat has an exceptional value for having the combination booster which has been provided in the seat. The headrest is not helpful for sleeping. The integrated safety system is used in the impact protection of safe cell. It has impact base which is energy absorbing, harness and tether, a steel frame for impact stabilizing and complete protection for side impact. SafeCell Complete plus Protection for side impact is giving you a high-level security facility. It is an advanced security system. The dark protective shell absorbs the energy of accidents which produce in the crashes. This absorbing deep tank will play the defensive role to protect your child from the crash forces. The headrest of the seat is also energy absorbing. The particular kind of energy absorbing foam will keep the neck and head of your baby secure and safe. As the growth of your child, you can adjust the seat for the comfort of your child through the advance system. The front-adjust recline can alter the angle of the booster car seat and it can give the highest comfort to your baby. The position provides 2 cup holders and storage for the baby’s drink and toys. Buying the Britax Pioneer can be the right choice for you to travel a long way with your beloved growing children. The seat is safe, comfortable and hustle-free. In the safety components, you child will be surrounded with the safe cell protection. These things will work together to keep your child safe. This plus complete protection will provide the protective shell with an advanced protection layer. For the extra security of your child, the car seat has given an energy-absorbing headrest for the safety of the child’s neck and head. Every touch point will get ultimate comfort for having the padding of plush foam in the car seat. The seat has 2 cup holders and also storage for the baby’s drink and other essential things. Your baby will get this stuff near their hands when they need it badly. Your baby can have a sound sleep for having the front-adjust recline. The Pioneer seat can be used in the harness mode for the children who are 2 years old and the weight is from 25 lbs to 70 lbs. Again the seat can be used in the booster mode and this mode allows the children who are from 40 lbs to 110 lbs. This car seat has come on the market with its exclusive features. The seat has DuoZone 10-position shoulder and head protection for side impact. It also has SuperCinch LATCH attachment and also tightener. It is a one-pull tightener. The contoured seat of ErgoBoost has double foam padding. Two cup holders are given with the seat and they are removable and you can fold it away when you have no need to use them. It is the soft-sided cup holder. For the children comfort, it has two armrests. The covers of the armrest and the seat pad are removable and you can wash it easily with the machine. The 2-position backrest will adjust to mimic seat position of the vehicle. The removable backrest can be used as a backless booster. The car seat has rest leg option for your child. 3D AirMesh fabric is used in the seat and it has airflow channels. The airflow channels will improve the ventilation. Chicco KidFit seats are the best infant car seats. The beneficial features have made the car seat as a best one. DuoZone Protection will work as a shield for the side impact forces. It has combined shoulder and head protection for your growing child. 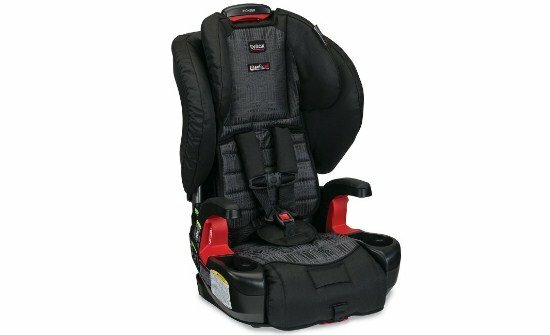 The LATCH attachment and proper comfort have made the seat favorite for both children and parents. For easy in-out, the car seat has SuperCinch LATCH attachment and it will keep the seat in its place straightly. The padding of the seat has double foam. The contoured seat of ErgoBoost provides ultimate support and comfort. Soft-sided two cup holders are removable and it will help you in the cleaning process. You can remove the cup holder you have no need to use the cup holders. The car seat has given arm rests for the comfort journey of your children. The covers of the seat pad and the arm rests are also removable and washable. You can wash these things with the machine. AFFIX car seat has High Back Booster and it has Latch System. This thing offers you the higher security of keeping the booster car seat in its place correctly. Easy self-buckling will maintain the seat steady. It has a unique feature and that is the front adjustment. The front adjustment will make the tightening easily and quickly with the vehicle seat. The car seat is side impact tested. It is engineered and crash tested to exceed the US standard FMVSS 213. For the ultimate comfort, it has Multi-layer head rest. The back support of the seat gives full coverage. The car seat has used special kind of foam. It is known as energy absorbing foam. Energy absorbing foam absorbs the forces of the side impact. The headrest of the seat is fully adjustable to secure your child. The removable cup holder provides your child with the drink near their hands. It has also storage to store any essential things for your baby. The AFFIX booster seat has Latch System which can safely transport your child who is from 30 lbs to 100 lbs and height is less than 57 inches. Front-adjust Latch system makes the seat more secure. The self-buckling is easier for your child. The Latch can secure the booster to the car seat while the booster is unconquered and help simplify independent buckling. Now you can secure your child in the booster seat with the vehicle shoulder belt. The car seat has energy-absorbing foam. It is an essential thing to save your child from the forces of accidents. Easy self-buckling is necessary for keeping the car seat steady. The tightening process can be easily and quickly done by the front adjustment. The car seat has the removable cup holder and it will keep your child’s drink near to your child’s hand. It has also storage for keeping any favorite thing with the seat. The cover of the seat is removable and machine washable. What is the booster car seat? The best childhood booster car seat is recommended for the children who are big enough for using the seat belt properly. The seats of our vehicle are specially designed and engineered for the adults. However, these seats are not usable for the children. A booster seat is recommended in the US for the child who is more than 4 years old and the weight should be more than 40 lb. These seats are specially designed and engineered for the children who do not fit in the motor vehicle seat of 5 points harnessed. These kids do not fit in the adult seat. The best travel car seat has been launched with all the features as the adult car seat. This car seat lifts up the baby and after that, the child can use the seat belt across the body. This process is also known as the belt positioning booster. From the age of 4 to the age of 12-year children can easily use the trusty booster car seat. Even the toddler can use the booster seat. It is the best part of the seat. Maximum seats meet or exceed the safety standards. So booster seats are safe and usable for the children. Booster seats are classified into two categories. Many people go for the backless seats as the price of them starts from fifteen dollars or so. Some parents also go with the high back booster seats as it appears as safer to them. The following section will elaborately discuss everything concerning the high back and backless models. We hope that it will be enough to satisfy your query and give better knowledge about buying best booster seat for your child. High back seats are the best. You’ve probably heard about them. But do you actually know what a high back booster seat is and how it works? Well, this section is dedicated to you so that you get to know them in details. Let’s start from the begging. 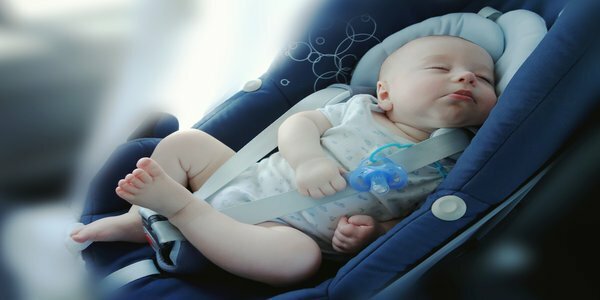 If you are going to read this article, it means that you have already provided infant and convertible car seats to your child and now looking forward to getting a booster seat. Then we suggest that you keep on reading this portion with a little bit of patience. This seats are for the grown up kids. It’s completely unsuitable for children under four. They look like car seats but at a smaller scale. Actually these booster car seats are different from other child safety seats because of their purpose. What other child safety seats do is provide the child with protection. They have layers of protective foams that absorb huge amount of forces during an impact. They are best at providing safety to the child’s head and neck. But this car seats don’t work this way. Their job is to adjust the height of sitting position of the child to match the appropriate requirements of a car’s seat belt. In this case there are two types of booster seats available. One of these is the high backed booster seat. This high back seats come with a back support. In a conventional one the back part is non removable. When a child sits on it gets an extra support and protection from the back. In terms of safety it is obviously better than the other model, backless booster seats. Now, the question, Why are high back booster seats should be more preferable? Well parents like them because they provide additional safety. Other than this no one likes to use a high back seat. This seat not only uplifts the child but also pushes it forward and holds it in proper position for the seat belt to fit. High backed seats are way more comfortable for the kids. They provide additional safety and support from the back side. They have head rest equipped in them. So, it would be a real help if your car lacks one. Some seats have wings attached with the head rest. These wings are best at protecting the head from sideways. Head and neck are the two most sensitive areas of the child’s body. So, it’s something that you shouldn’t miss. Some models of high back booster seats have detachable back part. You can convert it to a backless model of you want to. The lap belts are better in a high backed booster car seat. All these points are enough about high back infant seats. But other than these, you should remember that if your child often pushes itself back to the back part of your car seat and can’t make it, it should be provided with a high back child safety seat. Up until now we’ve only talked about the good sides of a high back booster seat. Now, it’s time you know about its limitations. High back seats come with huge price tags. These price tags aren’t suitable for every parent. Carrying a high back seat is never an easy thing. They weight a lot. Unplugging them from the car isn’t an easy. What will do after taking out a high back booster seat? You have to store it somewhere. Here’s the thing, storing a booster seat is never an easy thing. It takes a lot of space. If you are a frequent traveler, a high back seat is nor the thing for you. They don’t allow inside flights. And you will not be able to set it up on airplane seats if somehow you get it pass the permission. Children aren’t too fond of high back seats either. They feel irritated being inside them. Now that you know a lot about high back seats it’s time for you to know about the backless model of this thing. It’s also a booster seat, but is not a complete one actually. Let’s know more about the backless model. The name speaks for itself. It’s a special version of the booster seats that has no added back support. Backless seats are cheaper, lighter, and smaller that has multiple functions. They are just enough for partially fulfilling the purpose of a child seat. The parents who are concerned about the budget. They like it because this type of seat sells cheap. The price is half to one fourth of the high back models. The parents who travel frequently. Backless models are extremely portable. That’s why it’s an ideal choice for those parents who have to travel here and there or abroad more frequently. Parents who travel overseas. Backless seats are even allowed inside flights. Where you can’t take a high back booster seat inside a flight. That means you aren’t permitted to take one and you even can’t carry one or set it up on a flight seat. Parents giving priority to their children’s thoughts. When children grow up to be inside a seat, they don’t like it very much to be inside one of them. Actually they don’t want others (to be more specific, friends, while being dropped at school) to see that they still use a car seat. Parents with the latest model luxury cars. The advanced car seats of these days are really child safe. They don’t demand the back part of a booster seat as the car seat is already arched for boosters. Now, you can cross match yourself with the list and see if you belong in this list of parents. If you do, a backless booster seat should be your ultimate choice. There a lot of benefits of backless booster seats. Here’s a short list of them. These seats are easy to set up on the car. They take a very little space when you are going to store them. Backless booster seats are way less costly than the high backed models. This type of seats can be taken inside flights. The seat is lightweight. So that you can unplug it whenever you want. Not only the good sides of this should you be known. That’s why we’ll now discuss about the limitations of backless booster seats. Backless booster seats don’t come with a back support. So, expecting protection from them in rear end collusion would be a bad idea. Only the biggest kids are capable of using a backless booster seat. If you have a too skinny child or a child suffering undergrowth, it’s not a very good idea to get a backless model. No wings come with backless models. So, your child’s neck and head are always at risk. Well, we hope that it was enough of an introduction to the two mainstream types of booster seats. If you have any kind of further query feel free to drop us a mail. Now, there are two other types of child safety seats that reach to booster level. These seats are basically crossovers. In the following section we will briefly discuss about these two child safety seats. Our website has always been concerned about giving you complete knowledge about child safety seats. Here’s the description of these two types of seats for you. Don’t have any problems in spending money? Go for these types of car seats. They are both high backed and backless at the same time. Combination seats facilities a detachable high back. So, depending on your needs you can use any mode anytime you want. All these features make this type of seats the best available in the market. The price difference between this and the other two models aren’t too much actually. The thing is these seats look a lot more costly than their actual price. Yes, if you roam around the car seat markets (both online and stores) you will find that high backed seats the most costly ones. Most of them comes with price tags above hundred dollars. But you can get a decent combination seat at 70 to 150 dollars. Basically combination seats are the best available on the market and it’s our verdict. Booster seats are the best looking ones of the markets. If your child is ready to be inside one and you have to buy a best booster seats 2017 why don’t you get a combination seat and keep your child safe. Now you know almost everything about safest booster seats there are still some interesting that we felt like sharing with you. The booster seat has weight capacity for the toddlers. It can be used in two modes. The integral harness mode allows the children from 8-18 kg and the child harness allows the children who are from 14-26 kg. The children will always remain safe in these best booster car seat 2017. 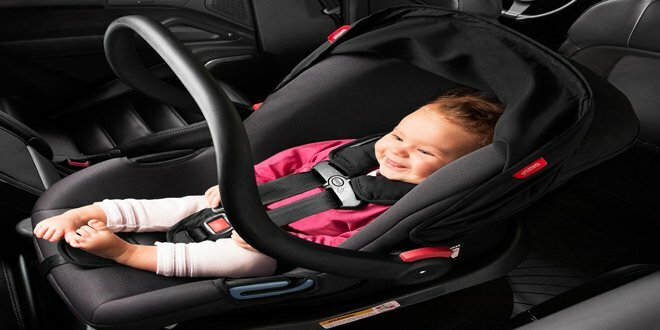 5-point harness provides the highest security for the toddlers. Again the seats have an innovative design for the headrest. The headrest is adjustable and it makes the seat safe and comfortable more. The neck and head of the toddler will stay safe for having the deep side walls and head support. Energy absorbing foam is used in the seat. Your toddler will never face the forces of the accidents. It ensures you the maximum security of your toddler when you are in the same car and travelling for a long way. The seats have a sporty look and it easily attracts the toddler. Your toddler can get his/her drink anytime in the car. The car seat has cup holder where you parents can keep the drinks of your toddler and your toddler will never cry his/her drink. The seat padding is very cushy. It is a comfortable seat for the toddler. It also has armrests where they can keep their hands. It will give them ultimate comfort. Your toddler can use both shoulder belt and lap belt. Your toddler may not fit with the shoulder belt. So your toddler can use both of them and it will ensure the top level security. Like best convertible car seat for small cars; in the booster seat your toddler can easily sleep. The headrest will help them to have a sound sleep. They can do a long journey with it. Safest booster seats padding quality is high and very soft. It gives the greatest comfort to your toddler. Q – Do I Actually Need A Booster Seat? Yes, you do. Safest booster seat 2017 are required for children’s safety in the car. Your four to ten year old child may not fit inside the car’s seat belts. That’s why you need a safest booster seats. They elevate the child to match the height of seat belts. Also high backed models of this car seats provide more than elevation. They tend to protect the child better. Without a safest booster seat 2017 you will be pushing your children’s safety to its limits. That’s why it’s recommended even by the government. Q – What things do I need to look for in a booster seat? It’s an important question actually. There are many things to look for inside the best booster seats of 2017. Here’s a list of them. Look for a seat that has a detachable back. This way you will be able to use the seat in both high back and backless models. Look for good locking mechanisms. These will lock the seat tightly on your car seat. In this way the child stays very much protected on the seats. Try buying good looking and smart seats. They will attract your kid and it won’t show any raring. See if the seat provides extra lap belts. The Latch systematized seats are always better. These are the points you need to look for in a best booster car seat of 2017. But also there are many things you need to consider before you buy a best car seat. 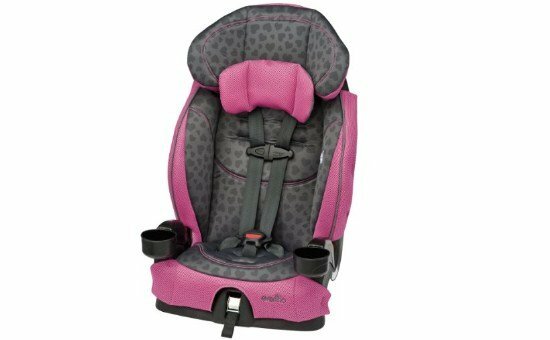 Q – What things to consider before buying a booster seat? Number of things should be brought under consideration before you finally buy your booster seat. Here is a list of those points that you should consider before getting a car seat. The first thing you need to do is fix the amount you are going to spend behind the seat. When you fix your budget, go online to do some personal research. Although we have made things easy for you. You can browse this website for better knowledge on child car seats. Now, limit your choices in three or four products. Then read everything about them. Read user reviews on them. Talk to their users. Know about the return policy, warranty and customer support and then finally purchase one. Q – What if my child doesn’t like the booster seats? This is a common problem among the parents. When a child completes the first four years of his life he or she starts growing a personality. And as a part of that they start thinking that being inside a seat is very much uncomfortable. They don’t want to be in seats while being dropped at school or elsewhere their friends are present. How to overcome this issue is the actual point. You may apply the following points to overcome this problem. Try to make them understand the importance of seats. If possible try to show them a demonstration of what’s going to happen if they don’t use it. Let them choose their own car seat. This way they will have no problem with it. Also encourage other parents to do the same. Take them on frequent road trips. By this they will know that this seats are comfortable. By implying this little tactics you can make your child a regular user of a booster seat. Q – Can I take booster seats inside flights? Yes, you are permitted to do that. But remember that only the backless models are permitted inside a flight and setting up one isn’t that easy unless you are traveling on business class. The seats in modern flights are very narrow. They leave a very little room for safety seats. That’s why you will always find it difficult to carry any sort of safety seat on a flight. Q – Is it a good idea to buy a used booster seat? Actually booster seats aren’t that pricey. You will be able to avail a decent one under hundred dollars. So, why would you buy a used one? But if it’s fairly new and have no spot or scratches on it, you can buy it. But remember that buying a used car seat is not a good idea as the seats can be damaged and it could spread various diseases. These types of seats aren’t too good for your child. They may not be able to provide safety like a new one. But the thing is that, second hand seats sell at a cheaper rate than a new one. 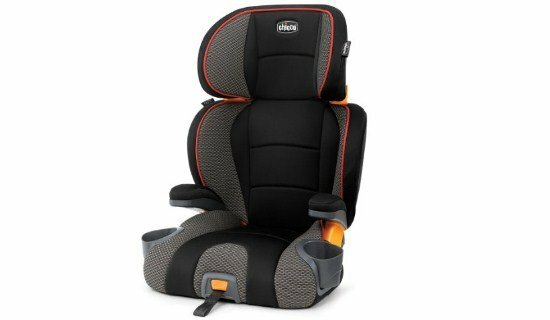 Q – What are the main things to know about booster seats? There are some must know facts about safest booster seat 2017 that you should know. We have optimized some things for you to know. These important facts will help you to know the seats on a better scale. Here’s a list of things that you should never forget. Booster seats are for the children who are too small to fit inside a seat belt but too big for a infant or convertible car seat. Unless the child is fifty seven inches or four feet nine inches he or she won’t be able to fit inside a car seat. The child should be 80 lbs to use the stock car seat. Up to that level it must be depending on safety seats. Car crashes are the second top reason behind the death of children of four to ten. One third of the lives could have been saved if the children were in safety seats. Providing a clumsy seat belt to a child is the worst. It will snap the children’s neck. This seats can reduce the death risk by 45%. 90% of the parents move their child to booster seats before they complete their convertible car seat. These are the points that will ensure your children’s safety to proper level. Many of you might have no idea about these things. But these statistics and factual truth stuff can’t be ignored anyhow. Q – When to remove a booster seat? The answer is quite simple actually. You should remove your seat when it completely discharges its duty. That is, when the child has enough height and growth of fitting inside a car’s seat belt, the seat should be removed. Before removing the seat make sure that your child isn’t pushing itself all the way to the back of the seat to be inside a seat belt or the seat belt doesn’t feel clumsy. Also, some child grows more rapidly. They need extra attention on these things. Keeping a child inside a booster seat for too long will hamper its growth and may cause injury to the collar bones. Also, there’s something to add here. Some cars are small or have extra flexible seat belts or their seats are designed for kids. On such cars you should use best compact car seat because the booster seats become useless in no time. Q – When is the right time to get a booster seat? We face this question very frequently. What is the perfect time to swap to a booster seat depends on your child’s age and growth. Actually, to fit in your stock car seat the child needs to be below 80 lbs and its height shouldn’t be more than four feet and five inches. But up to this limit the child must be inside a safety seat. So, an appropriate answer for this is that, the safest booster seat 2017 could be your child’s gift on its fourth birthday. Q – What else do I need to buy with booster seats? With the booster seats you may need some extra accessories depending on use and your car’s model. If you frequently go on road trips then you will be needing accessories like holders or extra covers. The holders are for storing baby supplies, food or juice. The covers are for canopy and protecting car seats. There are other special accessories like mirrors to view your child’s face. There are sun protectors for windows what will protect the child from direct sunlight and its harmful rays. Q – When a child can use the seat in forward-facing position? Forward-facing position is not allowed for the children who are less than two years. In a survey, we learn that rear-facing position for the child who is less than 2 years old is safer than any other positions. In forward-facing position children cannot tolerate the forces of forward-facing accident’s forces. That harms them badly. So, children who are more than 2 years old can use the forward facing. In the 2nd year of their age, they earn the ability to tolerate the forces. Q – The accessories are available on the market? The accessories of the seat can be found on the market and also in online. Do not worry, if any parts of the seat get damaged. You can change any parts any time if you want to do so. The customer service is well known in the market history. Q – Can my baby use winter coat while travelling in the booster seat? Your baby should not wear any thick coat when they are moving in the booster seat. You might be tensed about your child that she/he may catch a cold. So you have to warm your car first before starting your journey. After that, your baby can sit in the booster seat with your baby’s regular dress. Thick coat let not tight the straps. For that reason, your child can get badly shaken in any accidents. It can harm your baby badly. Q – How is the performance of the headrest? The headrest of the seat is specially designed and it is adjustable. The headrest supports your child head properly and that helps your child to have a sound sleep. The headrest also has energy-absorbing foam. This foam will save child’s neck and head from any accidents. Q – How is the booster seat for the long journey? The padding of the seat is not bad. It is so soft and cushy that adult people will like to have a seat like a booster seat. The padding has the extra part and that makes it more comfortable. Children can easily travel along way in the seat. They can also have a sound sleep without any complaint. Many parents inform that they moved for 16 hours and their children had no complained about their seat. So you can remain tension free about the seat for the long journey. Finally, a best booster car seat of 2017 is the type of car seat which is used in combination with a vehicle’s seat belt which is removable. This seat uplifts your child and that will help you to use the vehicle seat belt over the child body properly. It should be placed in the rear seat of the vehicle. Never use the lap belt only. When your child is in the booster seat, must use a shoulder and lap belt system. So this is an essential need for the parents. 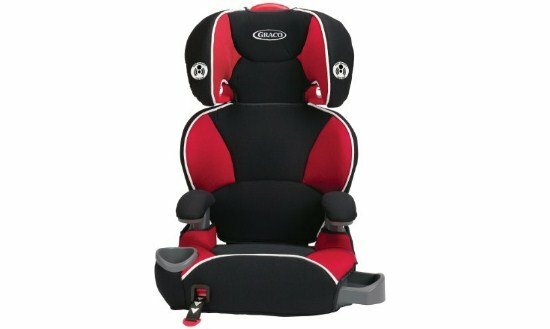 Before buy you must search the best booster seats 2017 in online to clear your thoughts regarding this child safety seat.